Bikes have become a very important part of our lives nowadays. It’s not hard to spot anyone in the street of India with two wheeler vehicles like bikes or scooters. Bikes are economically affordable and it’s fast and these are some of the reasons in favor of purchasing bikes in the country. But, along with the benefits, it should also be duly noted that it is the two wheeler vehicles that are mainly prone to accidents. Therefore, it should be first and foremost priority to secure your bike rides with the best two wheeler insurance in India. Go Digit bike insurance certainly plays this job with utmost credibility. Bike insurance policies from Go Digit General Insurance Limited are characterized by unique features and benefits. You can easily opt for Go Digit bike insurance renewal online by simply logging into the official website of the company. Go Digit General Insurance Limited, like any other vehicle insurers, generally offers two types of bike insurance plans namely Third Party and Comprehensive Bike Insurance. However, Go Digit bike insurance policies can also be availed with a number of efficient add-on covers along with your bike insurance plan. You will be required to pay additional premium to avail these add-on covers. Third Party Liability Bike Insurance PlanThird party two wheeler insurance offers coverage against liability claims due to an accident including your two wheeler vehicle causing injury, death or damage to any third party. The third party two wheeler insurance is compulsory. This plan also offers personal accident cover. Comprehensive Bike Insurance Plan Comprehensive two wheeler insurance plan under Go Digit bike insurance online takes care of all the loss and damage to your vehicle following an accident. The comprehensive bike insurance plan takes care of third party liability as well as your own damage. Add-on Covers You can buy Go Digit bike insurance online with some add-on covers that provide coverage that are not offered within a comprehensive plan. To avail the benefits of add-on covers such as Zero Depreciation, No Claim Bonus, Engine Protector etc with your two wheeler insurance, you’ll have to pay additional premium. On time Go Digit bike insurance policy renewal certainly provides you with loads of benefits. Find out the special benefits you can enjoy on your two wheeler policy if you choose to buy Go Digit bike insurance online. Lowest Price:Go Digit General Insurance Limited offers bike insurance policies at the lowest price with the highest IDV. Go Digit bike insurance policies ensure best service under the lowest and affordable premium. Online Renewal and Purchase: You can buy or renew Go Digit bike insurance instantly online in a hassle free way. You will have to simply visit the company’s official website for instant Go Digit bike insurance online renewal. Cashless Facility across India:Go Digit bike insurance policy offers cashless claim services all over India. The company is registered with a number of garages where you can avail cashless repairs of your two wheeler vehicle. Fast & Fair Claim Settlement:The Company offers fast and transparent claim settlement under bike insurance policies. Your claims are settled within a comparatively shorter time under Go Digit bike insurance plan. 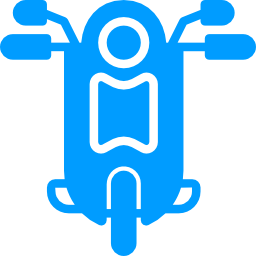 Breakdown Assistance:Go Digit provides breakdown assistance with their two wheeler insurance plans online. 24/7 Support: Go Digit General Insurance Limited offers 24/7 assistance over phone and online regarding claims assistance, policy purchase and policy renewals. Find out what is covered under Go Digit bike insurance policies online. Remember that you can always extend the coverage on your Go Digit bike insurance policy renewal by choosing to purchase add-on covers with additional premium payment. ✔Accident by any external means. ✔Injury to someone else in an accident. ✔Damage to your windscreen or windows. ✔Damage to someone's property in a bike accident. ✔Legal costs and expenses following a bike accident. It’s a fact that not all insurance companies will cover all your damages / losses under all circumstance. Go Digit bike insurance policies, therefore, are no different. Find out the exclusions under Go Digit bike insurance online below. ✔If driver is under the influence of alcohol / drugs / other intoxicants. ✔If the vehicle is used for illegal activities or for purpose otherwise clearly stated in the policy. ✔Not having valid driving license. ✔Go Digit bike insurance doesn’t cover any loss or damage to the insured vehicle if it takes place outside India. It is however, important to note that Go Digit bike insurance policy renewal has the same importance as buying one for your new two wheeler vehicle. Your failure to renew your two wheeler policy could cost you much. Therefore you renew your bike insurance with Go Digit on time. You can get instant two wheeler insurance quotes for renewal online.